^ According to a press-release of Iraqi News Agency of December 5, 1989 about the first (and last) test of the Tammouz space launcher, Iraq intended to develop manned space facilities by the end of the century. These plans were put to an end by the Gulf War of 1991 and the economic hard times that followed. ^ Beary, Habib. India announces first manned space mission. BBC. 2010-01-27: 1. 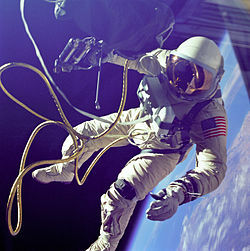 ^ Spaceflight stuck due to budget: CAG. the Times of India. 2012年4月25日 （英语）. ^ Europe targets manned spaceship. BBC News. July 7, 2009 [March 27, 2010]. ^ Europe's 10bn-euro space vision. BBC News. November 26, 2008 [March 27, 2010].